Where warriors come to rest. A small amount of snoring came from Enchantedlights, which echoed through the den. Although, it wasn't loud enough to wake any cat up. Her stomach rose and fell softly while she slept. 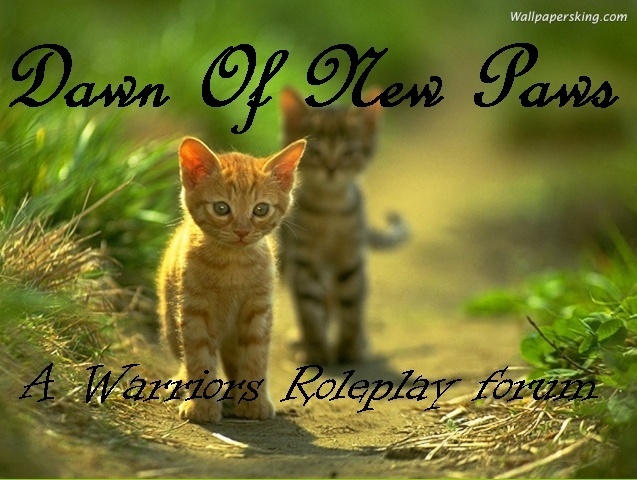 RavenWhisker glances at the warrior's den and pads in. Finding a small spot in the corner, he curls up and lays down. He slowly closes his eyes to sleep. Sunblaze's head shot up. His pupils dilated from skinny to fat several times. He felt different, not like himself. His heart was beating incredibly fast and his eyes were wide. Saying nothing, he got up and slowly turned his head to look over at Ravenwhisker, staring at him. RavenWhiskers ears twitch. 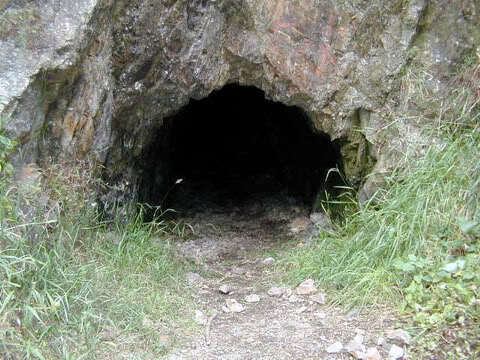 He takes a deep breath and rolls on to his other side, facing the cave wall, and exhales slowly. Sunblaze watches Ravenwhisker, his pupils still dilating. "Look... fresh...meat...." He takes a step towards Ravenwhisker, before shaking his head, as if he were trying to fight the rabies. "No... more...outside..." He walks out of the den. Raven's tail flicks occasionally. After a few moments he sits up and looks around the den. Wondering if he just though he herd someone talking. Shrugging, he stands, stretches and walks out of the den and into the camp.